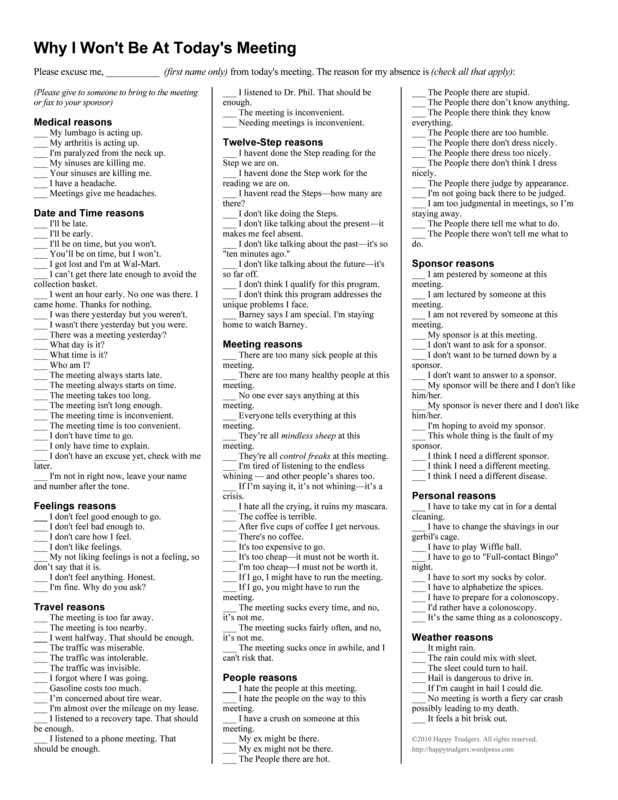 I finally figured out what I need: a multiple-choice Meeting Excusal Form. For your convenience, I’ve attached a downloadable version of this handy form* I created. It’s for those special circumstances when life just won’t wait. Like every day. Now, next time you or anyone you know just “doesn’t feel like it,” remember: why go to a meeting when you can just fill out the form, fax it in, and get back to what really matters! * PS Click on the link below to download a PDF of this handy Meeting Excusal Form!